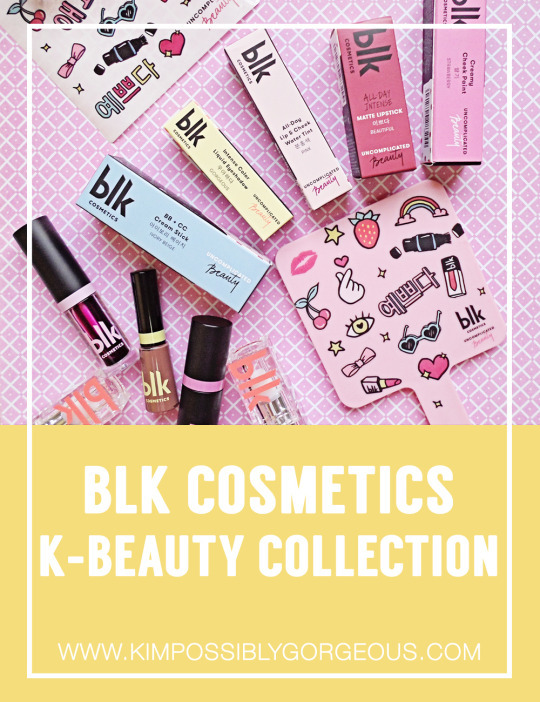 BLK Cosmetics released a new collection recently, and if you’ve been following its Creative Director, Anne Curtis, on social media and television, it wouldn’t come off as a surprise that the theme is all about K-Beauty. Being a huge Korean drama fan – really who didn’t know about her fascination with Gong Yoo? – Anne decided to introduce limited edition makeup must-haves that will totally make you nail that Korean look! Now you know I love me some oppas, and luckily I got a few pieces from their launch (see event photos on my Instagram). I’ve given myself enough time to play with everything; we have some hits and misses and I’m spilling it all out now. Get excited! Say annyeong to the range: there’s a BB + CC Cream Stick, Intense Color Liquid Eyeshadow, All-Day Lip & Cheek Water Tint, Creamy Cheek Paint and new shades of the All-Day Intense Matte Lipstick. If you’re looking for look-at-me, pak na pak makeup, sorry, Anne isn’t about that for this collection. Instead, it’s celebrating subtlety and minimal look that we often see (and covet!) on our Korean idols. It’s screaming dewy and more dewy. And okay, tint is still king! 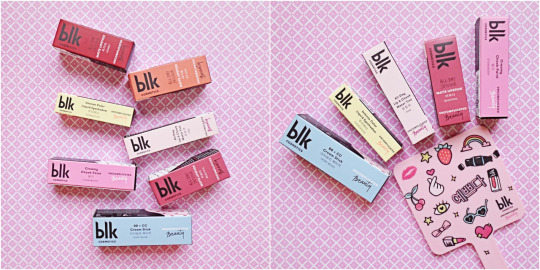 BB + CC Cream Stick (Php449) – My one issue with BLK Cosmetics’ first drop? No liquid or cream base. It was a bummer especially for someone who needs coverage like me. So during the K-Beauty launch, that’s what I searched for and saw that this time, there were 3 shades to choose from. This BB and CC Cream hybrid is easy to use, blend and build up. It has light to medium coverage, which is decent considering they are after the “Korean skin”. It also has a brush on the other end but I find it too small to be actually useful. I think I’ll only use it if I’m on a trip and I forgot all my tools. Sorry! One more thing, I got the lightest shade – Ivory Beige – and it has a pink undertone and too light for me. Maybe I’d like this better if I got the correct shade. Intense Color Liquid Eyeshadow (Php299) – This is my favorite from the collection! It absolutely took me by surprise since I’m not big on eyeshadows anymore but they are correct: it’s the easiest eye color ever! I have 2 of the 4 colors: Gorgeous (matte brown) as the base and I Love You (shimmer bronze) to layer on top. The formula glides seamlessly on the lids and is very pigmented. I Love You is glittery so I did extra glides to make it really pop. The result? SUPER! I think this would be my go-to look for when the day calls for an eye makeup. I bought the other shade after taking product pictures hence why it’s MIA. That established that this is a favorite, right? 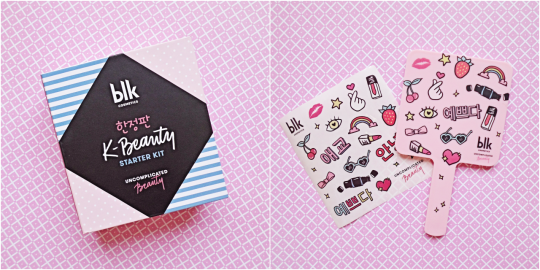 All-Day Lip & Cheek Water Tint (Php249) – Because what’s a Korean makeup collection without a water tint, right? While I like that this tint feels amazing on the lips and smells delicious, the name “all-day” doesn’t sit quite right. It is a lot of things, good things really: lightweight, non-drying, natural-looking to vivid finish but nope it is not long-wearing. It fades into a pretty flush though if that’s any consolation. I have the Pink shade, which is a Fuchsia kind of pink, and I love using it on the inner part of the lips for that ombre, very Korean look. Free Starter Kit Box and Sticker Set when you get all 3 products above! Creamy Cheek Paint (Php349) – This comes in 2 beautiful colors that it wouldn’t have mattered whichever I got: Strawberry and Peach. I got the former and it packs a punch on the cheeks and is true to the color in the tube. I love this; it’s light, seamless and has an ever so slightly sheen, which truly gives a gandang-fresh-lang vibe. It’s now a staple in my everyday makeup kit! It has a cool applicator too! They made it extra fat and squishy that mimics a human finger for easy application. 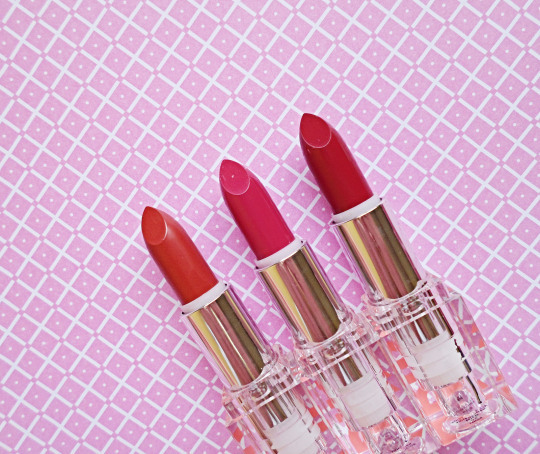 All-Day Intense Matte Lipstick (Php299) – Read my review of this lipstick here. Same formula, same packaging except the word BLK is printed in orange. Cute! What I really like about these 3 new shades is that they are very true to Korean lip trend. When I look at these colors, I 100% believe that a true K-Drama or K-Pop fan curated these. 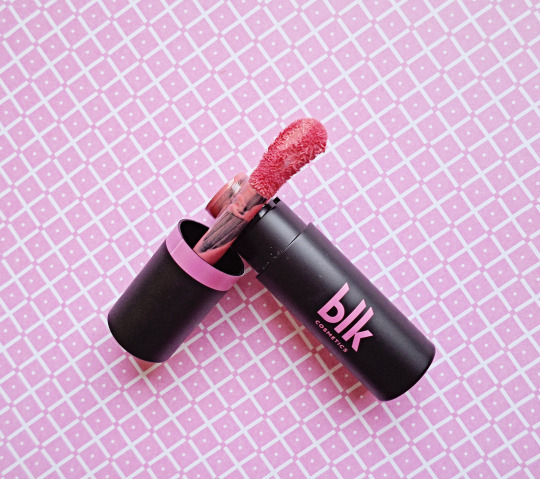 Did you or will you be buying anything from the BLK Cosmetics K-Beauty Collection Collection?